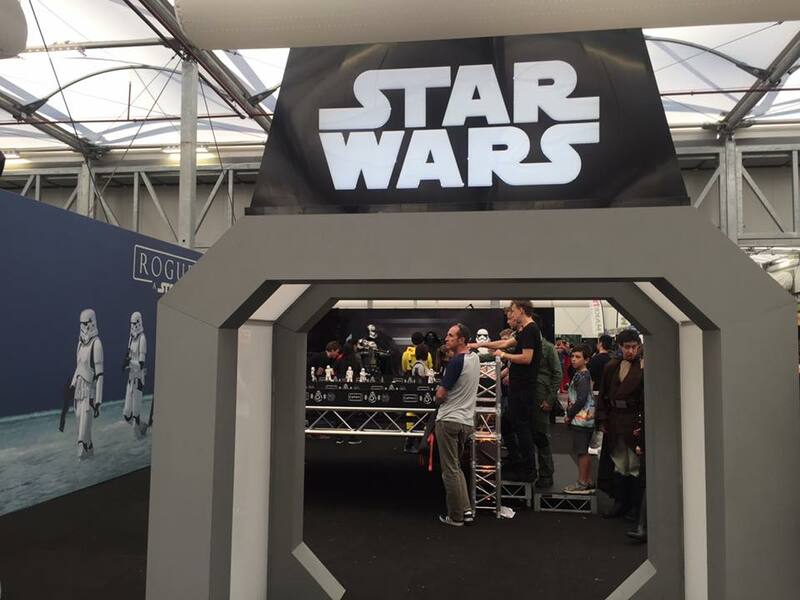 Movie Critical: Oz Comic-Con causing Sydney to geek-out! Cosplay craziness has taken over Sydney this weekend with Oz Comic-Con...and it really is a whole lot of crazy. Yet it is the type of crazy you will love if you are serious about "geek" culture. Don't be fooled though. Oz Comic-Con has something for everyone, but one's first Comic-Con experience can be a real eye-opener. 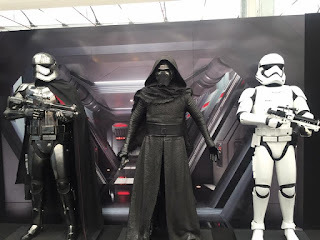 Probably the most shocking thing about a Comic-Con is how much effort people put into their Cosplay costumes, which can be hard to understand if you haven't witnessed it before or if you are not one of the die-hards. Yet, once you get past how scary good (or just plain scary) some of the costumes are, there is so much to enjoy for movie and TV lovers. 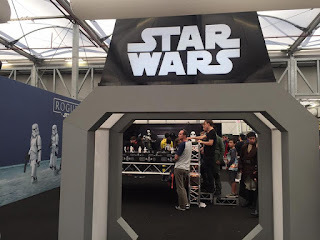 Oz Comic-Con is in Sydney for this weekend (September 10 and 11 2016) at the Sydney Exhibition Centre @ Glebe Island. As it was opening day, the halls were packed with high energy and excitement from fans and exhibitors alike. It truly is heaven for lovers of everything sci-fi and fantasy with everything to satisfy your passion and make you feel as close to your favourite films, television shows and print (including comics and books) as possible. It is no wonder people choose to participate in Cosplay when visiting, why not really feel as though you are in these worlds by making yourself into a character in the narrative? 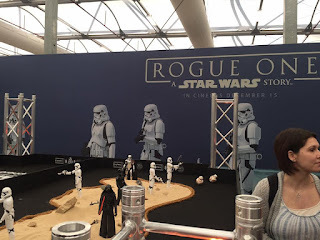 Along with stalls selling the best in pop culture merchandise, there are exhibits from the Star Wars, Marvel and Star Trek universes....all of which are incredibly impressive. 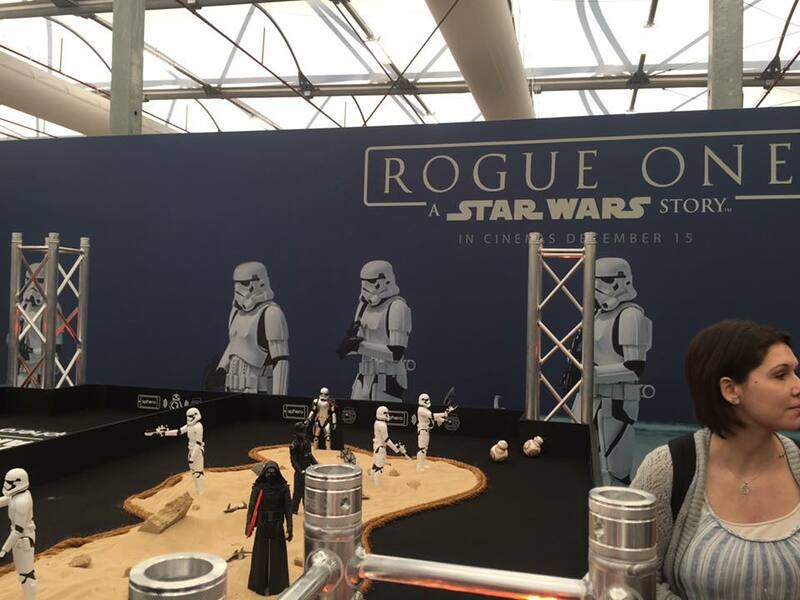 You can enter the world of Star Wars and have your photo taken with Captain Phasma, Kylo Ren or a Storm-Trooper, as well as get excited with previews for Rogue One: A Star Wars Story which is due out this December. As it is Marvel's Captain America's 75th anniversary, it is only fitting for he to have his own exhibit. 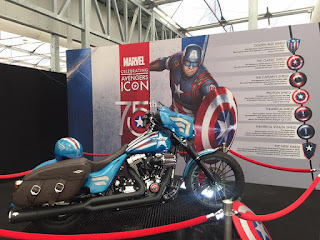 There is a little something for all Marvel lovers though. You can even battle your friends to see who is the mightiest by attempting to remove Thor's hammer! Of course, one of the most popular parts of any Comic-Con is the special guests. In Sydney this weekend, film and television guests include Aaron Ashmore ("Warehouse 13"), Charles Martinet ("Super Mario Bros"), Charlie Carver ("Teen Wolf"), Christian Kane ("Angel"), Daniel Portman ("Game of Thrones"), Devon Murray (Harry Potter), Hal Rayle (Transformers), Joe Flanigan ("Stargate: Atlantis"), Katee Sackhoff ("Battlestar Galactica"), Ken Kirsinger ( Freddy vs Jason), Ksenia Solo ("Lost Girl"), Maggie Roswell ("The Simpsons"), Max Carver ("Teen Wolf"), Mitch Pileggi ("The X-Files"), Nicki Aycox ("Supernatural"), Rachel Miner ("Supernatural"), Rainbow Sun Francks ("Stargate: Atlantis"), Stephen Hunter (The Hobbit) and Timothy Omundson ("Psych"). However, the two most popular guests based on their panels and their autograph and photo demands were Karl Urban (Star Trek, Lord of the Rings) and Freddy Kruger himself, Robert Englund. And of course, the Cosplay. There are several competitions that take place over the two days so the more effort your put in the better. Again, some of the costumes are quite unsettling, but you also have the hilarious and the ridiculous (such as Mario jumping out of a pipe just like in the video game and an AT-AT walker). One of the most entertaining aspects of the Cosplay happens outside the exhibition hall. It is not every day you see Kylo Ren sitting on a Sydney ferry just chatting to his friend (who is not dressed up at all), Shrek sitting on the dock at Darling Harbour or three bearded girls sitting side by side checking their phones. However, a tip if you are a girl and wanting to dress up for any Comic-Con this year or next, if you want to be original avoid going as Harley Quinn. The character which Suicide Squad has made popular once again was the most popular female Cosplay today and therefore lacked originality. So stand out from the crowd and pick someone else! As for the male characters, there wasn't one character that was more abundant in the crowd than the others and some very original ones were seen out and about. Oz Comic-Con is an interesting and enjoyable day out for any pop culture enthusiast. Thankyou to Blue Planet Public Relations for the chance to check it out and we can't wait to go again next year!